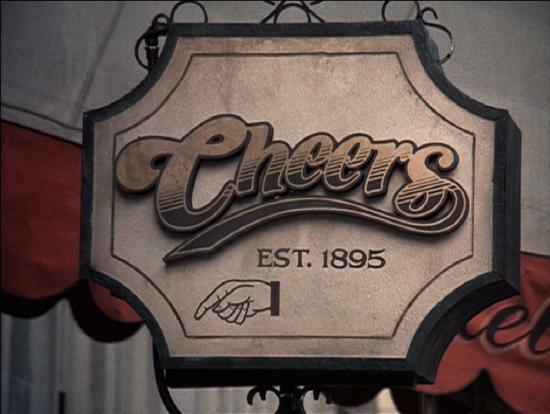 Last Question: According to the sign outside the bar, what year was Cheers established? Although the sign stated that Cheers was established in 1895, it was really established in 1889. It was revealed in the 8th season episode, “The Stork Brings a Crane” that “Est. 1895” on the bar’s sign is a made-up date chosen by Carla for numerological purposes. Well, I can’t mention Cheers without playing the theme song!